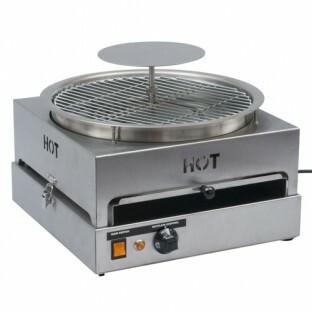 Our all stainless steel Pizza Capper has been designed for packing all sizes of fresh pizza. The simple to use pizza capper is easy to clean utilising the new quick release catch system. The adjustable control knob allows the flexibility of using all different types of shrink films. 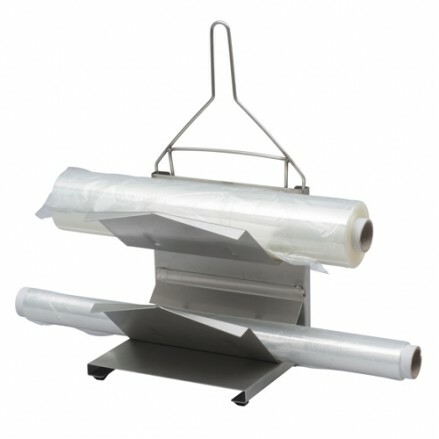 A two tier stainless steel film dispenser kit which accepts all film widths is also available with a set of tongs used to remove the pizza once sealed. See our Pizza Packaging section for cardboard pizza discs and films. Pizza capping machine is a bench mounted machine perfect for sealing pizza onto ..
Two tier roll dispenser that can be wall mounterd to hold the films and a fork f..